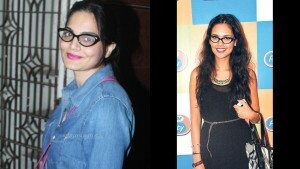 Make your own style statement by choosing the right glass frame for your face shape. The right eye wear can enhance your appearance by highlighting your favorite features while minimizing imperfections. Read on to know the perfect eye wear for your face shape. Oval faces are longer than wide, have foreheads wider than the jaw and a rounded chin and forehead. People with oval faces can choose eyeglass frames with just about any style. 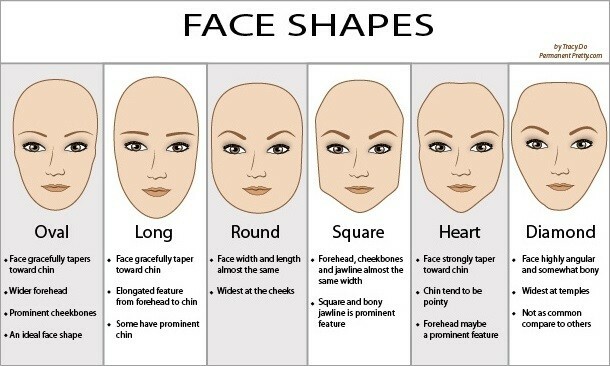 Rectangle faces consist of square chins on an oblong-shaped face that is longer than it is wide. Oblong faces look best when wearers have large, square-shaped eyeglasses with decorative edges and contrasting temples that add width to the face. Triangle faces look like inverted pyramids with narrow, rounded chins and wide foreheads. 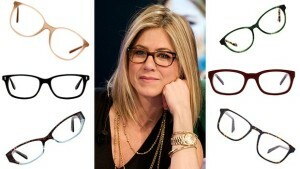 Small round or square eyeglass frames with light colors or invisible top rims work best on this facial shape. Square faces have strong jaw lines and wide foreheads in equal proportion to one another. Eyeglasses can reduce the angular appearance of square-shaped faces if wearers pick eyeglass frames with round or oval shapes, narrow widths and shallow depths. Diamond faces are narrow on top and bottom. People with this facial shape have high, dramatic cheekbones, narrow chins, eye and jaw lines. The best eyeglass frames for this facial shape are those with attention-getting detail on the upper portion of the frames, such as diamond-encrusted cat-eye shapes. Round-shaped faces have rounded chins and foreheads, with no angles. Round-faced individuals can add angles to their face by choosing eyeglasses with narrow, rectangular shapes that are wider than they are deep.